Little Red (that's her name) is all legal-eagle now with real, metal license plates and everything. And that means, I spent yesterday at the DMV. It was an interesting experience. 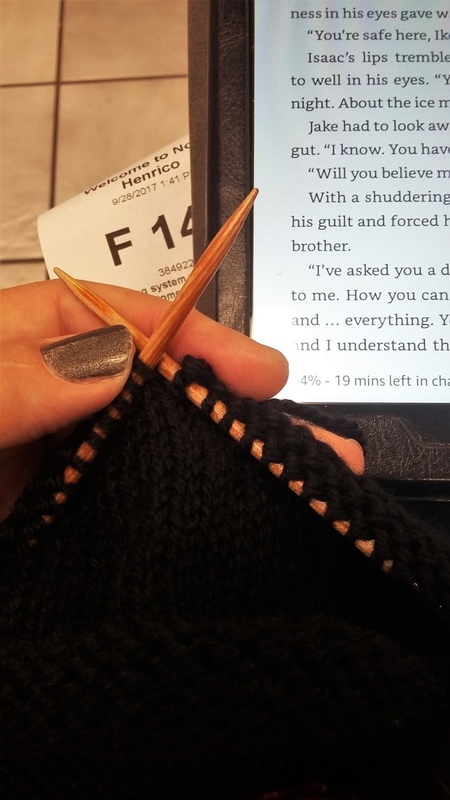 I sat and knit, and read and knit, and knit and read, and checked my phone, and knit and read some more.... Every now and then, I'd glance up at the reader board thing to see if possibly I'd missed my number being called. Nope, still on F144. (I was F148.) 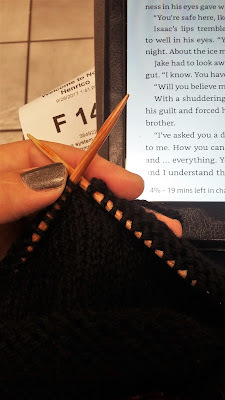 After about an hour and a half of knitting and reading and occasionally apologizing to the lady waiting next to me because my stomach had started to growl.... DMV finally called F145. Good Lord, it was taking forever. Thankfully, before I got too mean and hangry, ran out of Kindle battery or finished knitting the hat, they called my number. So, are you wondering how Little Red got her name? My husband's dad's truck was Big Red. It seemed only fitting. To celebrate not harming anyone at the DMV, I stopped by my local Dollar Tree and bought Little Red a fall floral thing to go in her vase. 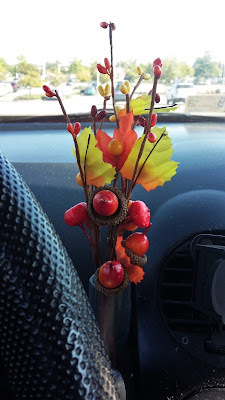 Okay, I also bought her a Halloween decoration but you'll have to wait a few more days to see that. Wow, where do you live, cause I don't want to move there! In Indiana, my fair state, our past Governors revamped our DMVs and now wait times are very low. Even on busy days they seem to be well staffed and efficient. Now, all the hoops you have to jump through to prove you are who you say you are, really! 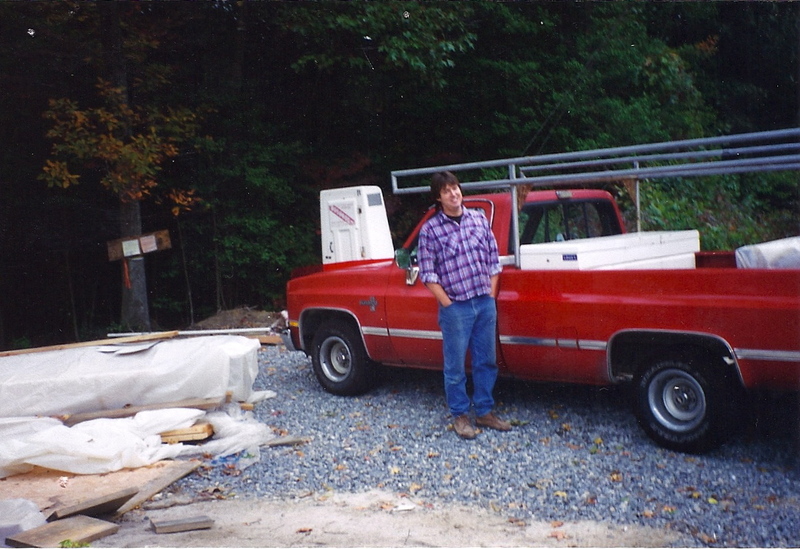 I've been licensed to drive in this state since 1977 and recently had to give them all kinds of documentation to be verified, so each renewal year I didn't have to prove I was still who I said I was. Geesh! Another fallout from 9-11 and Homeland Security.